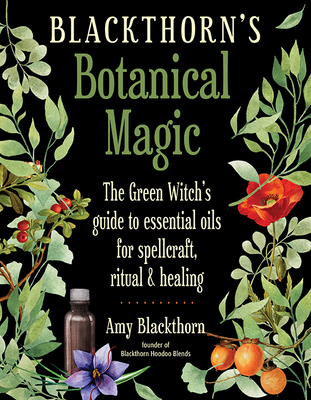 Amy Blackthorn has been described as an “arcane horticulturalist” for her lifelong work with magical plants. She is certified in aromatherapy and ordained through the Gryphon’s Grove School of Shamanism, and she incorporates her experiences in a British Traditional Witchcraft with her horticulture studies. Amy is also teaches hoodoo, and through her company, Blackthorn Hoodoo Blends, creates tea based on old hoodoo herbal formulas. She lives in Delaware.